SAN MARCOS — As the World Cup unfolds in Brazil, Bobby Renneisen has been watching every game, but not just for the entertainment value and not just as a soccer player in his own right. Renneisen has been watching the matches with an eye on the evolution of the game. Yet, Renneisen is quick to point out that tactics that were used in the game even 10 years ago have come back again. “There’s never one particular way to do it,” he said. “I think that’s the beauty of soccer — there’s just so much variety that you can certainly appreciate it from the entertainment value, of course, but then just the modern tactics, the modern game and the overall evolution of the game is always exciting to take in and learn from,” Renneisen said. 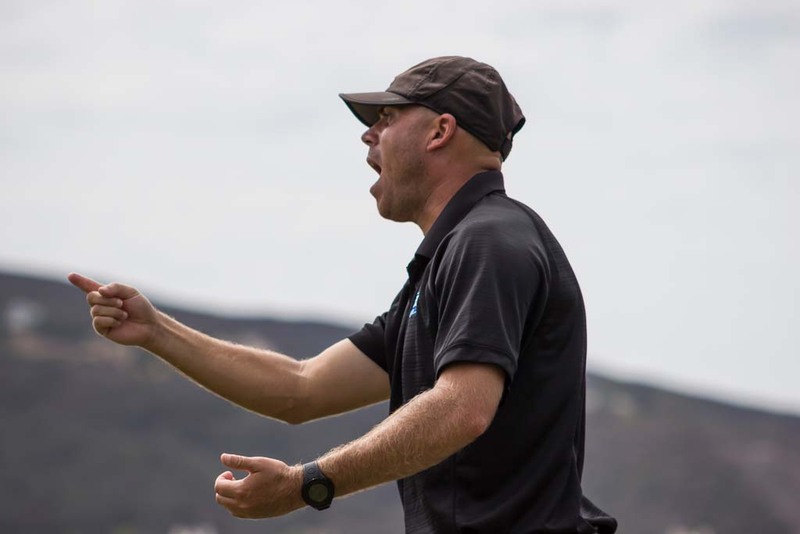 And some of those tactics on display right now might eventually be put into his playbook later this year when he takes up his new position as head coach of the Cal State San Marcos women’s soccer team. But the job title won’t be the only new thing for Renneisen, even though he’s been the associate head coach for the men’s and women’s teams for the last two seasons. And he’s been with the college’s soccer program under head coach Ron Pulvers since it began in 2006. With the new title, he’ll have some new responsibilities that come with being the sole head coach — the first time the two programs will have independent coaches. Earlier this offseason, the soccer programs were divided up. Before that Pulvers had simultaneously served as the head coach of both programs. Pulvers will remain head coach of the men’s program. “It’s really exciting for both he (Pulvers) and myself, to not only support both programs because we have so much invested interest in them, but be more specifically working hands on with the players,” he said. And what might make the transition easier is that the entire roster from last season is returning this year. This season, he said, there’ll be a lot of regularity and a lot of similarities to what has been done before with the two programs. “It’s been a positive recipe that we will look to enhance more than anything,” he said. “How can we make it better? It’s already a really good thing and how can we make it better? So that’s ultimately what we’re looking to do,” Renneisen said. And Renneisen knows that the position isn’t just about tactics and wins — it’s about making sure the students are also doing well in the classroom and enjoying their collegiate experiences. “It’s an educational piece first and foremost,” he said. “The athletes are here to get their education and to see that happen and to watch those individuals graduate in four years is my number one focus and goal,” Renneisen added. “Soccer is certainly a unique and a significant piece to the puzzle, which has brought us all together,” he said. Renneisen said the search is ongoing to build out his own staff, including a full-time assistant head coach. He added that he anticipates his staff will be solidified by the end of the month, or by early July at the latest. As for any advice he’s received from Pulvers, Renneisen said that Pulvers has been his number one mentor. Players report to training camp Aug. 8.